Whether you are interested in maximizing the full potential of your PowerShot or EOS Camera, PIXMA Printer, or any other line of Canon products, you can protect the quality and performance of your product and expand the possibilities with top quality accessories that will add functionality and convenience with ease. Camera accessories are designed to help you get the most out of your cameras. Canon offers a number of different accessories to add convenience and portability. To add more power, ergonomics and speed to your EOS SLR camera's body, consider one of Canon's professional quality power boosting battery grips. With a battery pack, charging is convenient and provides peace of mind. Recharging is made easy and with a variety of choices you can find some of the best battery pack for your EOS DSLR camera. For more customization, many of Canon's EOS cameras are compatible with a vast choice of eyecups, diopter lenses and more for greater versatility in a number of shooting situations. Viewfinder accessories help provide comfort, block out unwanted light, and diminishes glare. To enhance the stellar features of the EF Lens System, there are a number of accessories designed to perform perfectly with your digital camera. Canon offers cases to help protect your lenses, hoods, filters (which help control glare); plus there are a number of adapters to further expand the possibilities of your EF Lenses and your EOS System. Canon accessories are the perfect choice to help enhance your EOS System's performance. Whether through recording data or controlling your camera remotely, Canon's remote controls, wireless file transmitters and GPS receivers are designed to complement your EOS system. Canon Wireless File Transmitters help enable fast, wireless image transfer from EOS cameras directly to a computer. Canon GPS receivers record location, including latitude, longitude and altitude, include a compass, and can track the trajectory of the photographer's movements. The Wireless File Transmitters and GPS receivers are some of the best accessories for photographers who need a lightweight portable design. For photographer's on-the-go, Canon offers a comprehensive line of accessories. 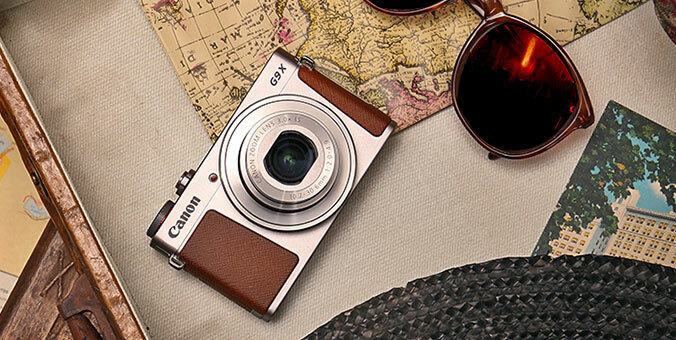 Canon's camera cases are built specially to help protect EOS and PowerShot digital camera models. Canon camera bags and cases can accommodate a number of different camera configurations and are built to the highest standards to ensure comfort and safety. Other travel accessories such as cables, straps, and waterproof cases provide reliability and high performance. Perfect for basic scuba diving and snorkeling, waterproof cases provide easy access to many photographic controls, such as white balance adjustment. They can also be useful on land, protecting against snow, sand, dust, and humidity. Be creative with your lighting and explore new and exciting types of photography. With flash accessories you can boost the range of your camera's flash with a portable high-power flash unit. This accessory includes a bracket that attaches to the camera and can be used remotely for creative lighting options. Canon CarePAK service plans are cost-effective and easy-to-use additional coverage plans. A service plan can provide additional years of service and support from the date you purchased your Canon product. Protect against unforeseen accidents1, excessive downtime, and enjoy peace of mind for years to come knowing your new equipment is covered. (All plans require receipt as proof of purchase. Restrictions apply). With additional hardware coverage from wear and tear on all mechanical and electrical issues, you have the ability to use your product worry-free. Canon CarePAK Service plans give you the quality service you deserve from Canon trained technicians ready to help! Canon carries accessories for a variety of products to protect the quality and performance while expanding the possibilities. Whether you're in need of a camcorder, printer, camera, binocular, lens, or scanner accessory Canon has your covered. Or if you're searching for a lifetime service plan to cover accidental damage, service plans are available to insure the quality of your product. * Offers valid March 31, 2019 at 12:01 a.m. ET through April 27, 2019 at 11:59 p.m. ET, or while supplies last, whichever is earlier. Offers valid in U.S.A. only. Limit of ten of any one hardware item per customer. Order will be shipped to a street address in the 50 United States or the District of Columbia only. Offers subject to Canon Online Store Terms of Sale. Dealers, distributors and other resellers are not eligible for this offer. Offers void where prohibited, taxed, or restricted.